Or did he mean “Ulysses is a tweet”? That sounds more likely – and handy too, because it lets us add new technological reference to the same old age-old fight. The great rollicking world of invention, the book whose rewrite of tradition, whose fusion of ordinary, legendary, fictional and real made the everyday and the man in the street an epic, and vice versa – a tweet. I think Joyce would’ve made a really good tweeter, it being his habit to transform characters – whether fictional human beings or the letters that form words – into something unexpectedly expansive. Nothing is harmful to literature except censorship, and that almost never stops literature going where it wants to go either, because literature has a way of surpassing everything that blocks it and growing stronger for the exercise. Personally, I don’t care if everybody or nobody reads Ulysses or if nobody or everybody reads 50 shades of Coelho. There’s room in the world for all of us. We are large. We contain multitudes. A good argument, like a good dialogue, is always a proof of life, but I’d much rather go and read a book. And I like a bit of style, myself, so it’ll probably be Ulysses. Maybe the Cyclops chapter, a fusion of pugilism with the parodies of written styles over the centuries, in which there’s a description of a boxing match between Irish colonised and English coloniser; it’s the chapter in which Bloom, talking in his own faltering way about the little things – violence, history, hatred, love, life – faces a bar-room of brawlers and a legendary one-eyed bigot. Or maybe I’d read one of the most original writers at work in the novel in English right now, Nicola Barker. I’d open Clear: a Transparent Novel, a book published a hundred years after Joyce’s Bloomsday. What’s it about? Ostensibly reality, a real-life event: David Blaine the magician, and how he survived on nothing in a see-through box strung above the Thames for 44 days in 2003. But from page one of this novel, all transparencies and deceptions, is a dissection of the infatuations, the seductions, the things we ask of books and art and culture. Like Ulysses, it’s also a discourse on heroism. Its speaker is one of Barker’s appalling and glorious wide boys, and all he can talk about, as it opens, is prose – specifically the opening lines of another book, Jack Schaefer’s Shane, a “Classic Novel of the American West”. I was thinking how incredibly precise those first lines were, and yet how crazily effortless they seemed; Schaefer’s style (his – ahem – ‘voice’) so enviably understated, his artistic (if I may be so bold as to use this word, and so early in our acquaintance) ‘vision’ so totally (and I mean totally) unflinching. I am putty – literally putty – in Schaefer’s hands … To be manipulated, to be led, to be played, and so artfully. It’s just … I’m just … I’ve very, very happy to be a part of that process. Barker’s writing is a 21st-century force of energy, playfulness, marginalia, bombast, emphatic tic and formal courage, and – as with all high literary processes – not every reader’s happy to be a part of it, though lots are. Would I call it balls, what Barker’s got? No, though I’d stay with the procreational possibilities. I’d use something a lot more gender non-specific. Jouissance? No, still too gendered. Lifeforce? it certainly roars with something like life. Let’s just call it style. Barker’s multivocality is a display of just one of the versatilities natural to literary style. Here it gives us both her character’s cockiness and his vulnerability, his blindness at being ironised. Plus there’s the chat-up line, the beguiling, the way we’ll readily let something remake us. There are inferences of territory and pioneering, and even moral authority. At the same time she undermines it; style’s authority dismantles authority, reveals it as a load of macho balls. And what exactly has happiness to do with the process? It’s the easiest argument in the world, and one of the most specious, style v content. The cliched view of literary style, especially style which draws attention to itself as style, is that it’s a surface thing, a thing of appearance, a skin-deep thing; a fraudulent thing, not the real thing, blocking us from what it’s trying to say even as it says it. But everything written has style. The list of ingredients on the side of a cornflakes box has style. And everything literary has literary style. And style is integral to a work. How something is told correlates with – more – makes what’s being told. A story is its style. A style is its story, and stories – like onions, like the Earth we live on, like style – are layered, stratified constructs. Style is never not content. This is because words themselves when put together produce style, never lack style of one sort or another. Otherwise we could junk, say, one of the most recent translators of Madame Bovary, Lydia Davis (who went back and looked at Flaubert’s edits and took into account for her translation his removal, from draft to draft, of metaphoric or lyrical elements in the language of the novel), and just run Madame Bovary through Google Translate. Style isn’t the ghost in the machine, it’s the life that disproves the machine. There’s nothing ghostly about it. It’s alive and human. More, style proves not just individual human existence, but communal existence. It’s an act at once individual and communal, to read a book, which is why the question of how much we’re asked to engage is such a loaded and interesting one (do you read to escape? Or to think, learn, understand? Or to be entertained?). For a style may not be to your taste. It may not be your style. But that’s an important issue, one that marks style’s power. The last thing literary style is is a matter of indifference; that’s why it’s so powerful a stirrer of love and passion, anger and argument. That’s why it can really trouble us. That’s why a style you don’t take to can feel so like a personal assault. And style is so versatile that it can carry all the opositions simultaneously. I’m thinking of a novel like Uzodinma Iweala’s Beasts of No Nation, or Helen Oyeyemi’s The Icarus Girl, stories of bloody murderous fracture told via child-innocence, or novels like Vonnegut’s Slaughterhouse 5 or Heller’s Catch 22, which clarify historic foulness yet masquerade as, and are, comedic entertainments. Style can and will do many things at once, be ironic, ambiguous, challenging, questioning, quicksilver. It might not be easy on the eye. Not everything is. Not everything’s simple. Austen, for one, wanted her readers to be clever. What writer doesn’t? “I do not write for such dull elves / As have not a great deal of ingenuity themselves,” she wrote in a letter to her sister. We don’t need to know she’s playing on a reference to a couple of lines from Walter Scott’s long romantic poem Marmion here. Not knowing doesn’t stop what she wrote being witty. But it’s interesting to know, since the original lines she’s improvising on concern the power of the imagination. This rewriting and reforming, in miniature here, is what she does in a major way in her novels, playing on and finding a new style in reaction to the styles of Sterne and Fielding and Richardson and Defoe before her. It’s what writers do. Books beget books, styles beget styles. Flaubert wrote Madame Bovary against what he saw as the foul falseness, the romantic excrescence of the contemporary French novel, which is why his book addresses so closely the effects of style and its responsibilities and moralities. Words and styles have import and impact beyond themselves. In Ben Marcus’s The Flame Alphabet, published this year, parents begin to suffer terrible physical symptoms because they’re being literally poisoned by the words used by their kids, a daughter talking “like a tour guide to nothing”. Style is chemical and reactive, and – both daunting and exciting – it can go where it likes, do what it likes. Where style goes – what it does – is always telling. Naturally, some writers are more attentive to language and structure, and some want to draw more attention to these, than others. But style is not language – it’s bigger than language. Style is not voice. Style is not form. It’s not stylistics or parataxis or rhythm or metaphor. Style is what happens when voice and form meet and fuse into something more than both. But it’s about the seriousness of the novel and it reveals the novel as a serious thing, this taking to task of the shape it tends towards. It might not always work; it might look like or end up being just fashion (though style and fashion are not spuriously connected, since style is what makes fashion). But the structures of what we make are bound to parallel the structures of our cultures, how we’re living, how we’re thinking. And the ability to perceive and question and even alter the structures of things is related to and touches on issues of revelation, question and change in our art forms. You might be able to spray fashion on like a perfume. But style is integral. It’s what things really smell like. The word style comes in its English form from the Latin stilus, primarily the word for a writing implement, possibly fused with Greek stylos, the word for a pillar, one that either architecturally supports or adorns a structure or place. The word content means both that which is contained and a kind of happiness close to peace of mind. Are being held and happiness connected? Ask any baby. Style is also an aesthetic means of containing something for us and allowing us both distance from and proximity to it. It will hold us up against the darkest things, as well as up against the throwaway lightness of life. Style will also discomfit us, since art’s about both, being held and being flung open. There’s a telling moment in Alison Bechdel’s graphic novel, Are You My Mother: the main character sends her mother a piece of memoir specifically about the evening when she was a small child and her mother decided to stop kissing her good night. The mother sends it back, five months later, annotated. Bechdel’s meticulously drawn frame shows a page of black typescript held in two hands – and, scrawled all over its margins, comments in red pen. “Pay more attention to verbs”. “Good use of color: visual memory from child’s p.o.v”. “Am I being too critical? I am probably jealous because you are writing and I am not.” The mother steadfastly ignores what it says, by concentrating on how it says it. Style gives us that – what shall we call it? – grace, I suppose. But anyone reading it can see that a stylistic critique doesn’t just protect, it also reveals, allowing the safe surfacing of all the unsayables, the primal responses. Now I’m going to quote Alain Badiou, from In Praise of Love, because I think what he says here about love could also be a working definition of the powers and gifts of literary style. At the most minimal level, people in love put their trust in difference rather than being suspicious of it. Reactionaries are always suspicious of difference in the name of identity … if we, on the contrary, want to open ourselves up to difference and its implications, so the collective can become the whole world, then the defence of love becomes one point individuals have to practice. The identity cult of repetition must be challenged by love of what is different, is unique, is unrepeatable, unstable and foreign. Point 7,000,000,000: how should the novelist approach the novel? I asked two writers younger than me, whose work is very different from each other’s, how they thought we should approach the novel. Kamila Shamsie said: “Boldly, and with a certain fear in the heart.” This reminded me of Charlie Chaplin in The Circus, locked by mistake in a cage with a sleeping lion. That’s quite close to what it feels like, to write a novel. You’re brave, or you’d better be, and you’re an idiot. Tread carefully. I texted Helen Oyeyemi. How should the novelist approach the novel? She replied: “With courage and vigour and flexibility, I think.” Then her text said: “What do you think?” Yes, it’s always a matter of dialogue. And clearly a matter of courage. Oh! but it is only a novel, as Jane Austen puts it in chapter five of Northanger Abbey, the most postmodern of her works, where she tells us with a flirtatious combination of real/feigned modesty and indifference what the novel can do. Best chosen language = greatest powers of the mind, most thorough knowledge, human nature, liveliness, wit, humour, world. 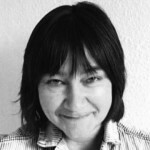 As an L writer, I’m looking forward to today’s address by Ali Smith and her advice on writing a novel today…..
Nora – what about the discussion about style excluding some readers?